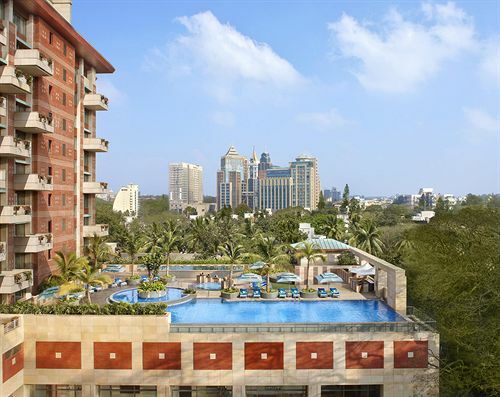 The ITC Royal Gardenia is a luxury hotel of Bangalore located along the Residency Road. 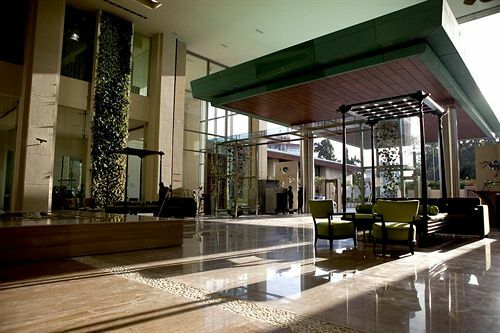 The hotel is a manmade marvel in both architecture and amenities. 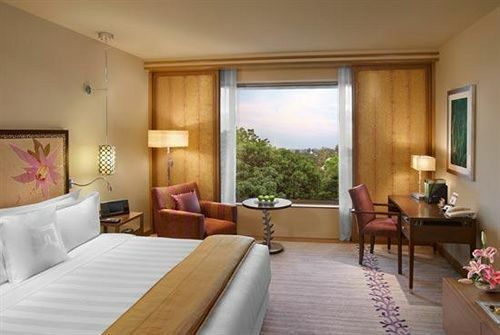 Being situated in the city center, the hotel is in close proximity to many business areas and IT hubs of Bangalore. 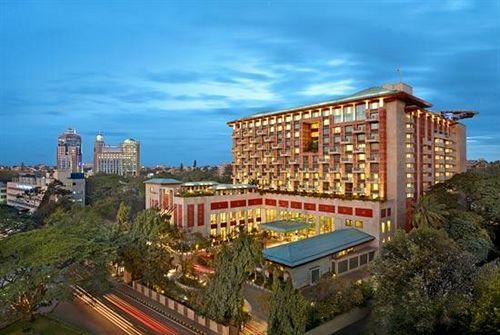 This five star hotel is the first in Asia to have a helipad and is respected highly for its hospitality and class. 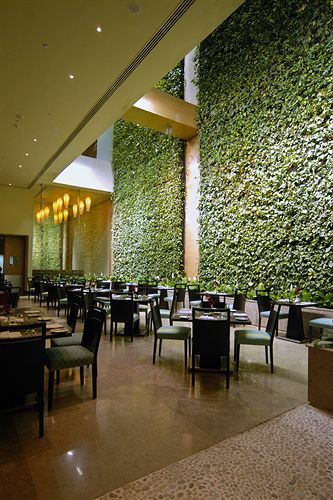 The hotel offers state of the art amenities while being ecofriendly. 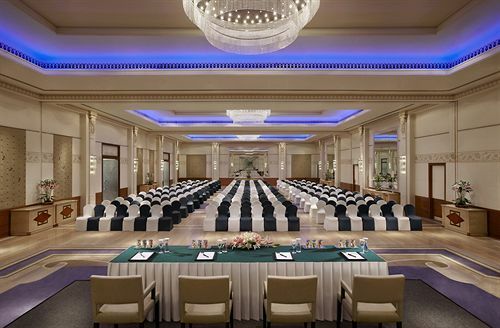 The hotel also has well maintained conferencing and banqueting facilities. There are nine world-class halls and also a 19,524 square feet pillar-less hall which can be divided into three completely different halls. Also there are meeting rooms and boardrooms which can accommodate 20 people and come with the latest in audio visual technology and stationary. 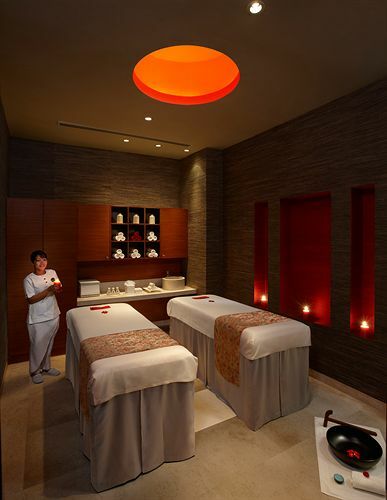 The place also offers its guests a center of body treatment, massage and spa. 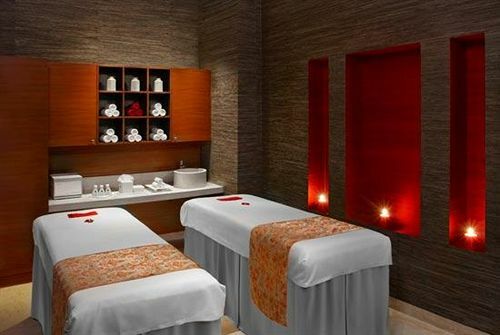 The spa is luxurious and rejuvenating. The hotel also offers yoga center and a gymnasium to keep the guests in good health always. 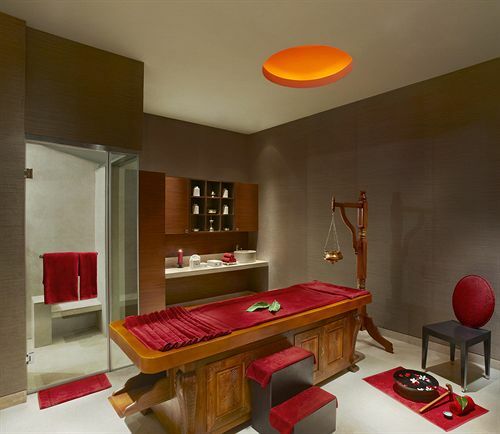 Apart from these the hotel also offers a Jacuzzi, steam room, laundry service, Ayurveda center and Wi-Fi service. 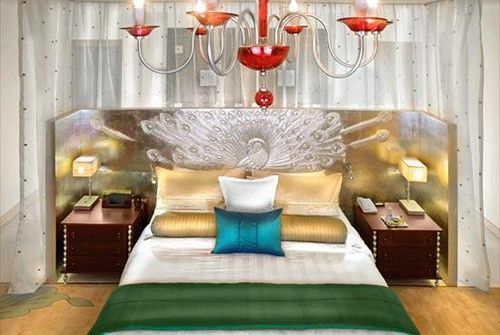 The peacock suite is the presidential suite of ITC Gardenia and is designed with an eye on the beauty of India’s national bird, peacock. 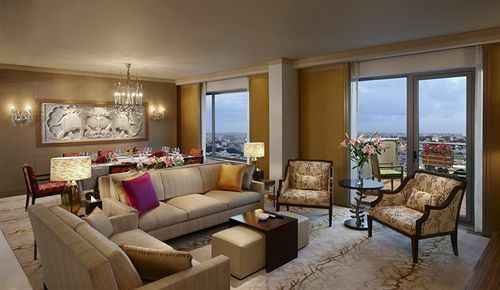 The suite has large bay windows which offer a beautiful view of the whole city. 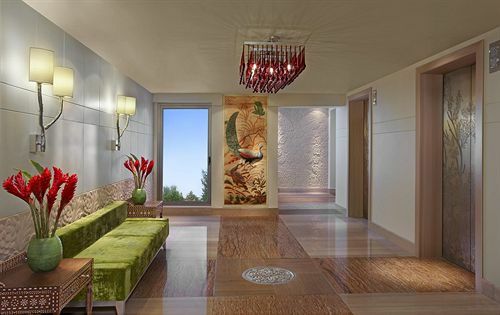 A mirror work done on the walls of the hall looks spectacular. The room is completely carpeted in gold and the master bedroom is decorated in white and silver. 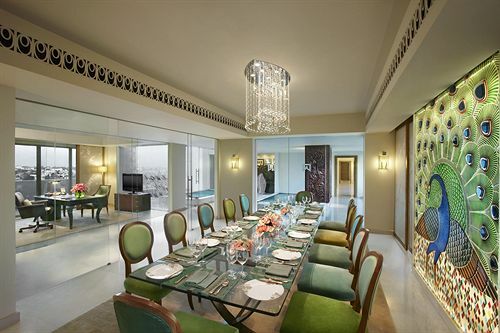 The room has a separate dining table around which six people can have a private meal. The room also features complimentary breakfast at the coffee shop. The other amenities of this room include a mini bar, tea or coffee maker; direct dial telephone, Wi-Fi access, electronic safe and daily newspaper. 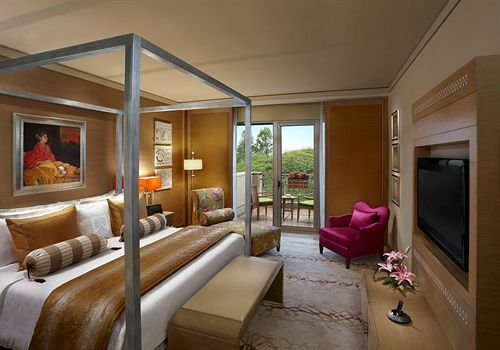 This Queen suite is elegantly designed as a pelican suite and offers a variety of luxurious amenities. 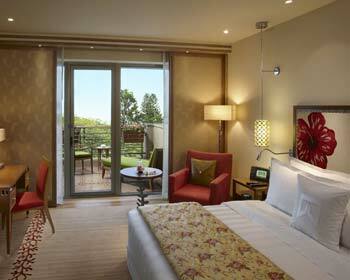 The suite overlooks the swimming pool and the garden courtyard. The bed in the master bedroom is decorated with orange cushions and linens. 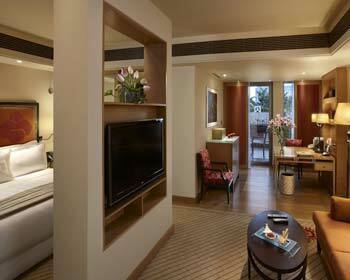 There is a separate LCD TV in the bedroom so as to keep the guest entrained 24x7. The work desk comes with a well cushioned seat and basic stationary. The residents can enjoy cocktails at the towers lounge from 6 pm to 8 pm every day. The other features of the room includes a color television, mini bar, direct dial telephone, tea or coffee maker, Wi-Fi access, electronic safe, private bathroom, a daily newspaper and 24 hours butler service. Flamingo suite is meant for long stays and is done completely in shades of red and maroon. 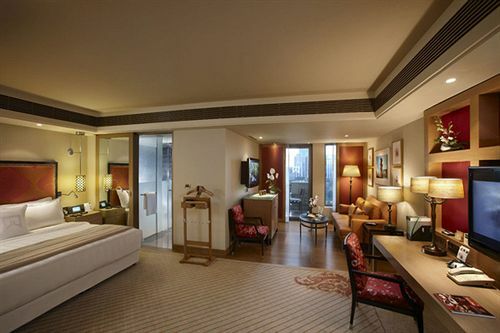 This suite is ideal for corporate travellers and has a round the clock butler service. 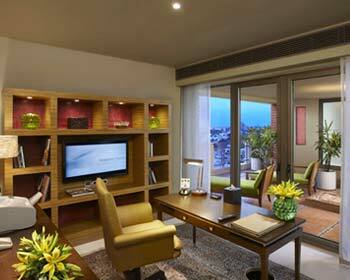 The guests can also use the board room at towers lounge free of cost for three hours. 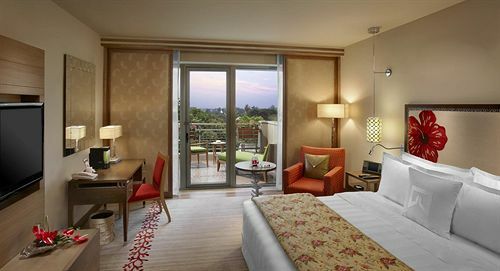 The beds are decorated with colorful lines and comfortable cushions to put the guests off to a good night sleep. The Wi-Fi service makes sure the patrons are always connected to the outside world. The other features of this suite are a LCD color television, direct dial telephone, mini bar, tea or coffee maker, chargeable Wi-Fi access, electronic safe, a daily newspaper, bathroom toiletries and free access to the towers lounge. 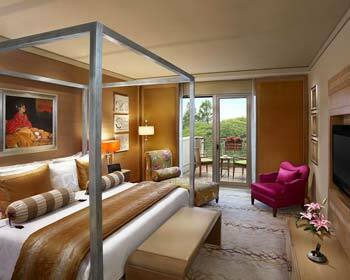 These are the junior suites of the ITC Gardenia. 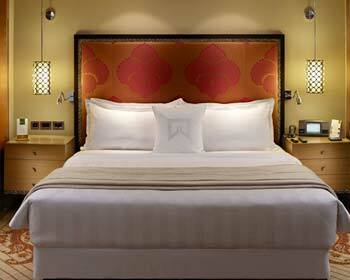 The queen size bed is beautifully crafted and the night lamps sitting next to them enhance its beauty. The private bathroom has a deep sunk bath tub and a shower cubical. The mini bar and tea maker makes sure the guest never run out of beverages anytime during the day. The color LCD Television keeps the guest entertained the whole day with all its premium channels. The room also has other amenities like an iron and ironing board, data port connection, geyser in the bathroom, direct dial telephone, chargeable Wi-Fi access, fruit basket, electronic safe, round the clock butler service and a daily newspaper. 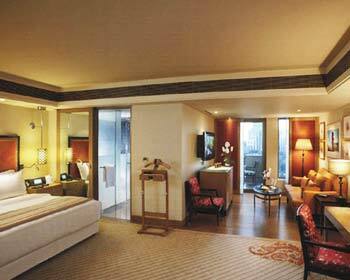 The 35 ITC One End suites are elegantly designed to provide the guests with 7 star luxuries. There is a separate living room and the bedroom has its own private bathroom. The bathroom is equipped with all modern amenities and bathrobe and slippers. 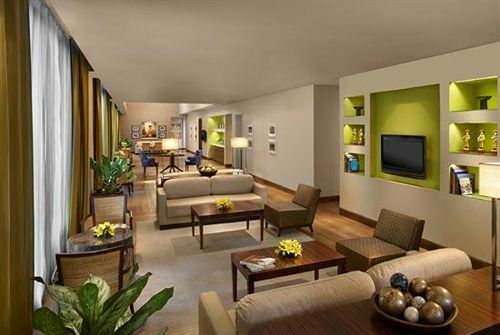 The living room is well furnished with a sofa set and center table where friends can relax and enjoy beverages from the mini bar. The patrons also enjoy free access to the towers lounge for three hours. Complimentary breakfast is served every morning at the coffee shop. The other amenities involve a tea or coffee maker, daily newspaper, chargeable Wi-Fi access, direct dial telephone, geyser and a snack basket. The Eva Rooms are meant especially for the women and lie along the ladies only wing. 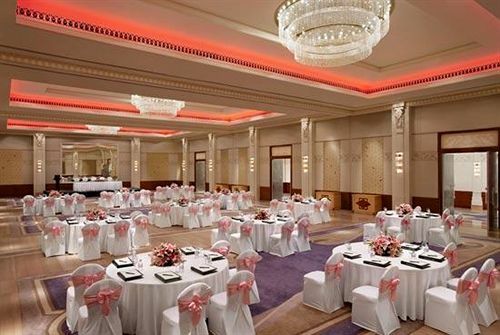 The room has been designed with a theme of flowers and petals. The bed is very beautifully done and looks feminine. The bathroom comes with a cubical shower and a deep sunk bath tub. Bathrobe and slippers are provided in every room. 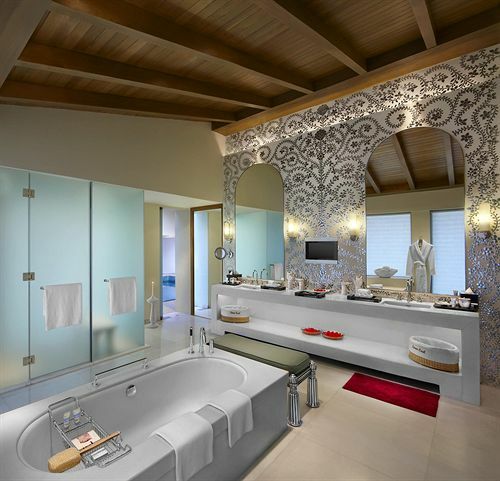 The bathroom also has 24 hours supply of hot water and the guests can also enjoy cocktails from 6 pm to 8 pm in the towers lounge. Apart from this the room also has an iron and ironing board, mini bar, data port connection, round the clock hot water, tea or coffee maker, direct dial telephone, snack basket, Wi-Fi access, daily newspaper, an electronic safe and 24 hours butler service. 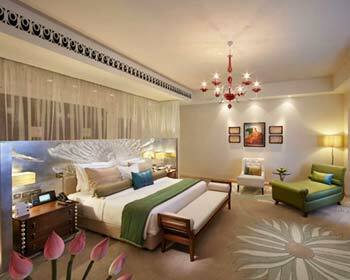 They are the most spacious and luxurious rooms in this category. There are 237 tower rooms and all come with a well-furnished living room. 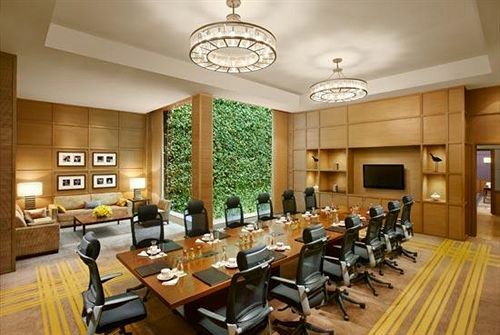 The work desk is very wide and comes with all required stationary and is ideal for corporate travelers. The room overlooks the city or the garden depending on choice of the resident. The curtains cover the private balcony which is ideal for an evening cup of coffee or morning tea. 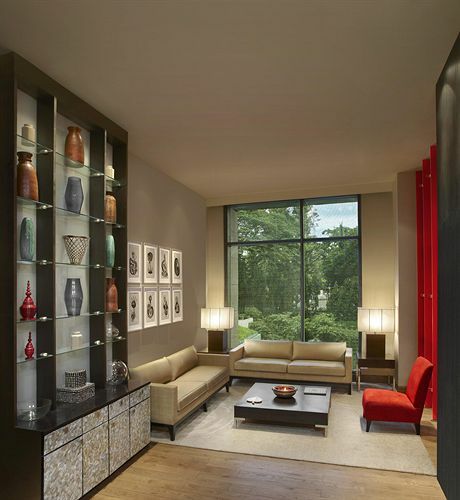 The sitting area has a well cushioned sofa set and a center table. 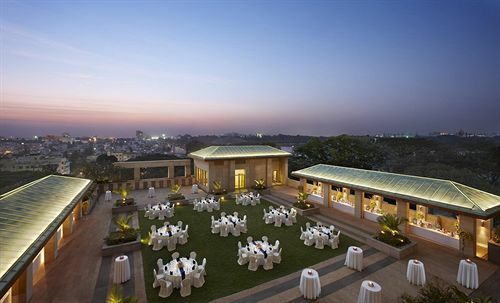 There is round the clock butler service for the patrons and also free usage for three hours of the towers lounge. Other amenities of the room are a mini bar, iron and ironing board, data port connection, tea or coffee maker, round the clock hot water, direct dial telephone, Wi-Fi access, snack basket, daily newspaper and an electronic safe. The fine dining restaurant operates 24 hours under open sky. Decorated in wooden black furniture, the place serves some delicious Indian and international dishes. 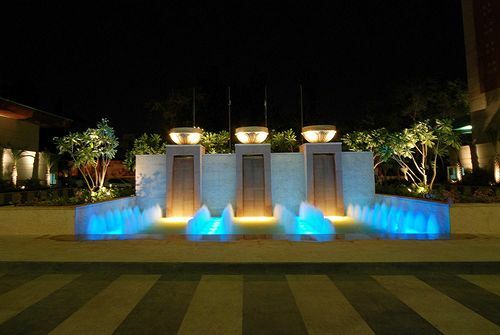 The ambience is very cheerful with music being played throughout the day in the background of your memorable talks. 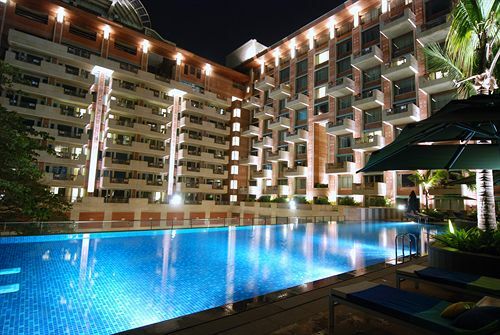 The place has won many awards for its hospitality and ambience. The first place a guest visits in this hotel is the lotus pavilion. The place has a very traditional décor and acts as a center place of the hotel property. The place is open from 7 am to 2 am 365 days a year. The place is very popular for the variety of dishes in its menu. 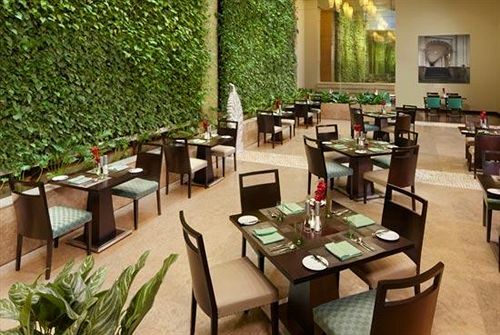 Serving the best dishes from the Indian cuisines, K & K is a must visit for all Indian foodies. 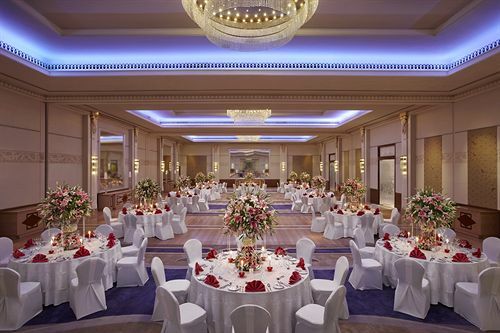 The restaurant has been decorated in the Rajputana manner and serves lunch and dinner via its a la carte menu. The place has a very unique look and provides a very lovely memory to your dining experience. The name EDO is taken from the old name of Tokyo. This place serves some delicious Japanese food in its colorful ambience which resembles that of Japan. The place is adorned with some beautiful paintings about the Japanese culture and traditions. The decorated bar serves a variety of drinks in its menu and comprises of both Indian and imported liquors, wines and cocktails. The place serves both lunch and dinner. The highland nectar is a world class bar with some very old and rare whiskies and scotch on display. The bartenders are highly trained and can provide some of the best cocktails and mock tails. The place offers many international liquors and wines.